The Ebola virus disease has a human mortality rate which stands somewhere around 50 percent. The Nipah virus has a human mortality rate around 75 percent. 1. It comes out of India where it has killed a dozen and infected more than 40 others. 2. Authorities believe the first case came from contact with an infected fruit bat. The other cases were from human-to-human interaction. 3. People with Nipah show symptoms of a high fever, vomiting, and convulsions. 4. There is no known cure or preventative. 5. Oh, one last one: health workers fear it could become a global epidemic if the scientific community doesn't develop resources and plans to put an epidemic into check. 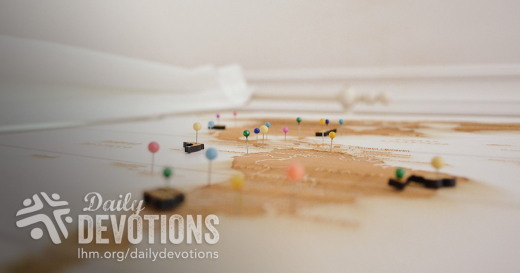 At the beginning of this devotion, I spoke of the mortality rates of various illnesses. One disease I didn't mention was the disease of sin: a disease with a mortality rate of 100 percent. 1. Sin was first identified in the Garden of Eden where it was contracted by a man and a woman. 2. The Bible shares how the first infection began when the husband and wife came into contact with Satan. 3. They became carriers and quickly passed their sinful natures on to their children. 4. People with a sinful nature show symptoms of anger, envy, greed, lust, and selfishness. 5. Thankfully, there is a cure which has shown itself to be 100 percent effective. That cure was brought into being because of the life's work of Jesus Christ, God's Son, the world's Savior. With single-minded purpose, He gave Himself over to creating that cure. 6. And now, because of what Jesus did in life, in death, and in resurrection, all who are brought to faith in Him are forgiven, as their sins are washed away in His blood. They are cured. THE PRAYER: Dear Lord, once we were doomed and condemned by sin's illness which penetrated our body, soul, and mind, our past, our present, and our eternal future. Truly, humankind was without hope. In mercy You sent Your Son into this world, not to bring the cure, but to be the cure. His life's blood poured out on Calvary holds out the reality of forgiveness for our dark misdeeds. Because of the cure, sorrow and sadness have been replaced by joy, hope, gladness, by our loving Lord. Thanks be to God. In Jesus' Name. Amen.